The Violin Shop: Violins- New, Used, Vintage, Old, or Antique. What's Best? 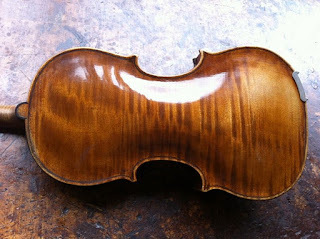 One of the most important things to understand about violins is that they're hard instruments to play. If everything in the set up (strings, pegs, bridge, fine tuner(s), soundpost, chinrest, tailpiece, fingerboard, and nut) is not pretty close to perfect, it's almost impossible to play the instrument. That's assuming that the general body of the instrument is healthy with no cracks and the neck angle is correct. Add up the cost of doing the proper set up, plus glueing up some seams and maybe some cracks, and the repair bill is easily around $1,000. Or more. 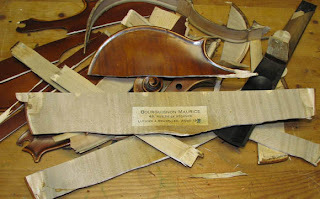 So that "valuable" old violin may not be so valuable in a decrepit condition. Oops. I probably just made you confused. So what's the best kind of violin to get? New? Used? Vintage? Old? Antique? What do those terms mean? NEW- That should be easy to define. Brand new is brand new. Never owned. Never played. Straight from the workbench to your hands. Are new instruments best? For beginning students, new violins with a good set up are best. 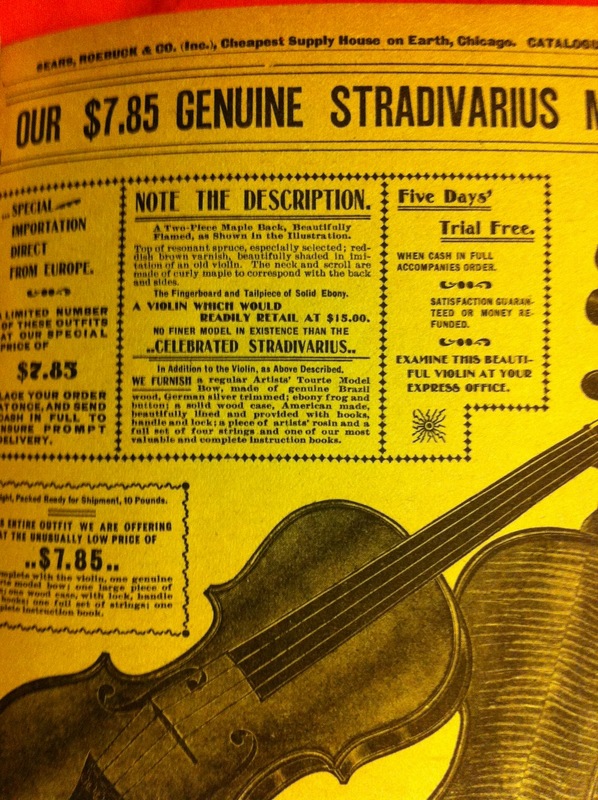 Of course, you'll pay a premium for a new violin. But it's worth every penny. For more advanced players to professionals, a new instrument might be best. You'll purchase an instrument in perfect condition. Many players enjoy the interaction between a violin maker and the player. It should be fun, too! Do instruments sound better with age? Yes, a well constructed instrument will sound better with age. BUT- A good instrument should sound good right away. Don't ever buy an instrument with the hope you'll like it after it's "played in." It might sound better once it's played in for a few years. But it might not. USED- Just like in cars, a used violin has been pre-owned. Maybe it's got a few thousand bow strokes on it, but overall it's in good condition. Except- how do you know it's in good condition? If you're buying it from a shop, it should be! All the set up should be correct, the strings should be new, and if there are any cracks or damage, you should be told. If you're not buying it from a shop, take it to a luthier you know and trust. Ask them to evaluate it and expect to pay the luthier for their time and expertise. This violin needs a bit of work to be put into playing condition. Is a used instrument best? Maybe. It's been "played in" and the wood is a few years older than a new instrument. But it might not be shiny new. If the shine is important to you, then buy a new instrument. It might also have some wear marks, scratches, and other flaws in the finish. If this bothers you, buy new. If not, a small amount of varnish retouch can do wonders. Should a used instrument be cheaper than a new one? In student instruments, definitely! But once you get into hand made instruments, the value of the instrument being played in and older might offset any wear and tear. Vintage- A somewhat nebulous term, vintage implies that the object is somewhere between fifty and one hundred years old. You might think of that age as "antique", but Customs regulations and the antique market would disagree with you. 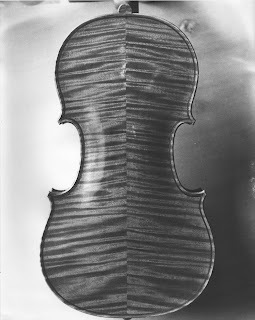 By about fifty years old, a violin should be well aged. But, do you definitely know the violin you're looking at is really that old? As above, if you're buying it from a reputable shop, you should have some degree of confidence in its age. If you're not buying it from a shop, as above, take it to a knowledgeable luthier. Ask them to evaluate it and expect to pay for their time and expertise. 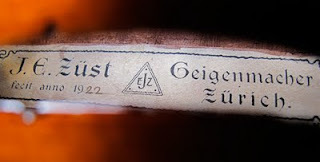 Of course, no matter how sure the shop or luthier feels about the age and origin, it's only an educated guess. Since they weren't around to see the instrument leave the maker's workbench, they're putting all the observable clues together to give you a maker and era. Do they make mistakes? Of course! Even the best ones with absolutely reliable reputations. So, don't buy a violin based on its pedigree. Buy it because you love to play it. Old- Who knows what that means???? Maybe your grandparents played on it. Maybe it's been stored away for the last twenty years. It could be a great violin in mint condition. But probably not. 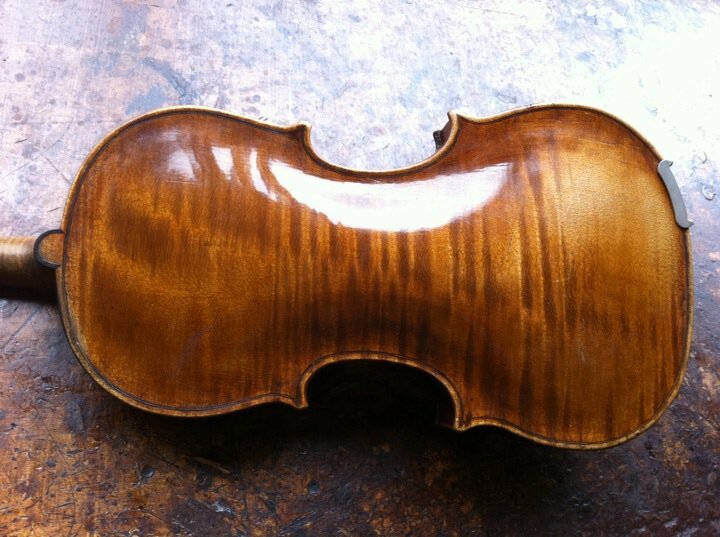 Violins tend to deteriorate if no one is actively playing them, simply because no one is changing the strings, keeping it in adjustment, being careful with the temperature and humidity, or doing any simple maintenance. That violin you see at an estate sale or flea market? Is it valuable? Probably not. Antique- Ah, a definitive term! The U.S. Customs Service (and many other countries Customs services) define an antique as AT LEAST one hundred years old. 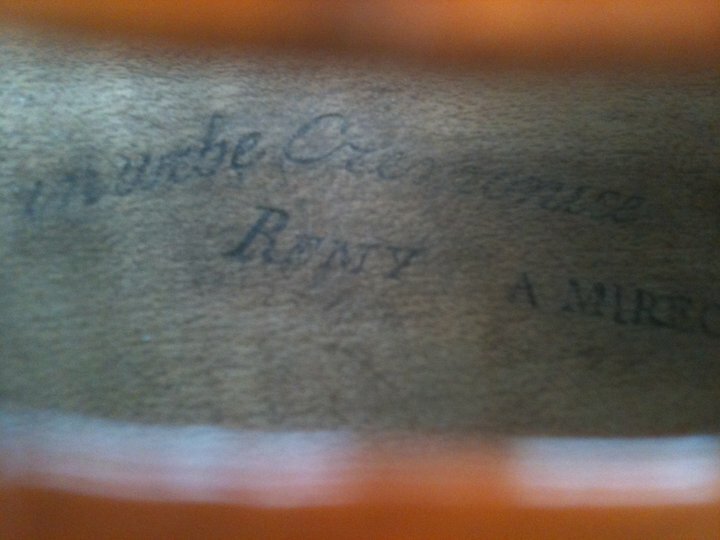 Is a fifty year old violin an antique? No! At the time of this writing in 2015, an antique violin would be made in 1915 or earlier. Was any appraiser alive today alive and cognizant in 1915 or earlier? No! 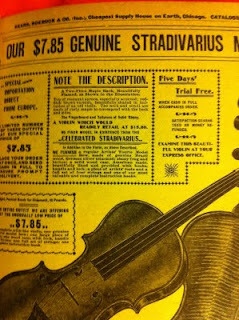 So, again, declaring a violin to be an antique is an educated guess. 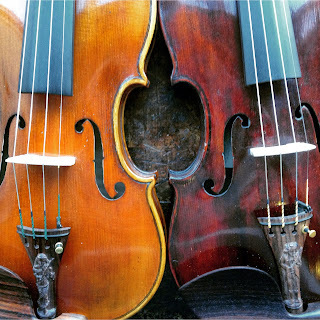 Are antique violins the best? Probably. But they should be in good condition. The inside of an antique violin top. The long piece of wood on thew right side is the bass bar. Violins are very delicate. As they get older, they become more delicate. Any cracks or damage should effect the value and might effect their usefulness to you. If your violin has to be repaired every few months, it won't be very useful to you. If you're buying the violin from a shop, it should be in good condition and you should know about any cracks or damage before you buy it. If you're not buying it from a shop, have it evaluated for its condition and its age/origin before you buy it, not after! Don't buy an antique violin based on your perception of its value. You, and whatever expert you show it to, could be wrong! Buy it because you love the sound and you love playing on it. You'll notice I haven't written about investment value of a violin. The common belief is that violins are good investments. While that might be true for some Stradivaris and Guarneris and other very old Italian instruments, when you consider the cost of maintenance and insurance, the investment value is often not so great. Please read my blog on values of stringed instruments. Still not convinced? Try this mental exercise- If violin family instruments and bows are such good investments, why don't the wind players in your orchestra have a collection? Or your bank? Or your investment adviser? What type of violin is right for you? That's easy! The violin that you love the sound and looks of and you love playing, that's the right violin for you! I have used violins as examples for each age and type of instrument. The same ideas generally hold true for violas and cellos. 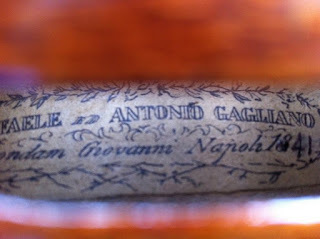 Except for one odd quirk with cellos - Hard shell cello cases are a fairly recent innovation. Before about 1970, most cellos were carried in soft bags that didn't offer much protection. As a result, it's very rare to see an old, vintage, or antique cello that has not had the neck and button broken off at some point. 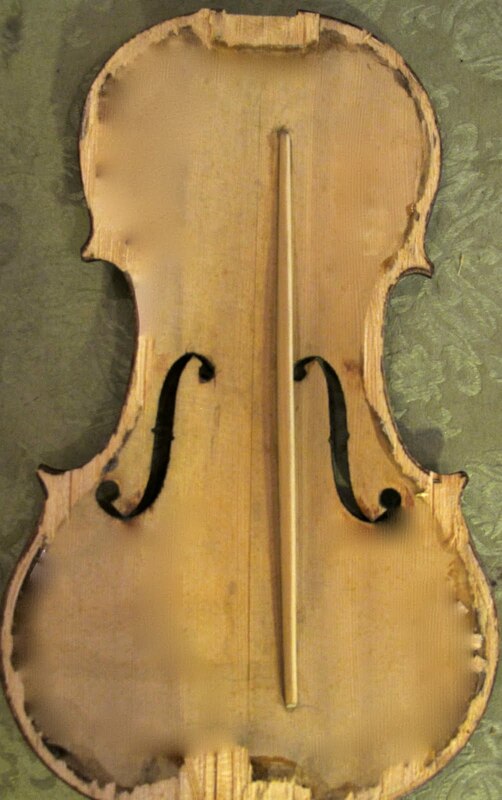 Even Stradivarius cellos have had their necks broken off. 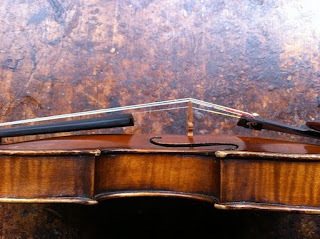 To repair that damage correctly on a cello is very, very expensive. 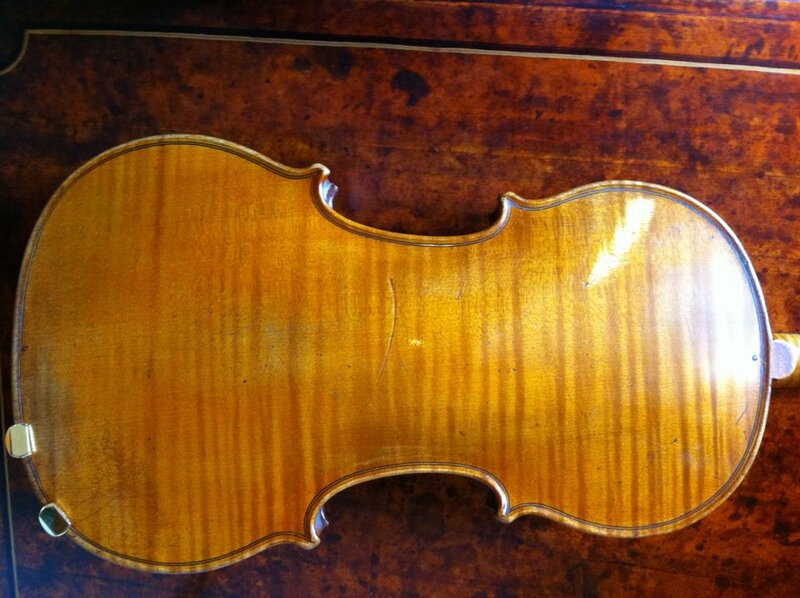 If you're considering buying a cello that's anything but new, have it checked by a luthier and pay close attention to the neck/button area! So, What's best? New? Used? Vintage? Old? Or Antique? My advice, ignore anything you've heard or read about "investment value" or that old instruments are better than new instruments. Then the answer is simple- What's best FOR YOU is the violin that you love the sound and looks of and you love playing on it. Love your instrument! It will give you lovingly beautiful sounds in return!